Blados, Walter Roman (Commander, USN, Retired) beloved husband of Katherine A. Blados (who predeceased him in November 2009), loving father of seven children: Michael, David (Kristine), Brian (Amy), Maresa (Jody), John (Shannon), Matthew (Melanie), and Mark. Also survived by grandchildren: Annie, Benjamin, Zachary, Andrew, Roman, Gabrielle, Katie, Moira, Lauren, Evan, Lucas, Michael and great grandchildren: Briar and Reese. Walter Blados was born in 1931 in Southold, New York. His parents immigrated from Poland. He was one of 9 siblings. He attended Fordham University in the Bronx. He received a Masters and Bachelors degree. Walter joined the Navy and was commissioned as an Ensign in 1957. Walter retired from the Navy in 1974 as a Commander. He began working in the intelligence field with the US Air Force and NATO. Walter married Katherine Ann Tarpey of Brookline Mass in 1957. They had six sons and one daughter. Walt was very active in the community and schools . 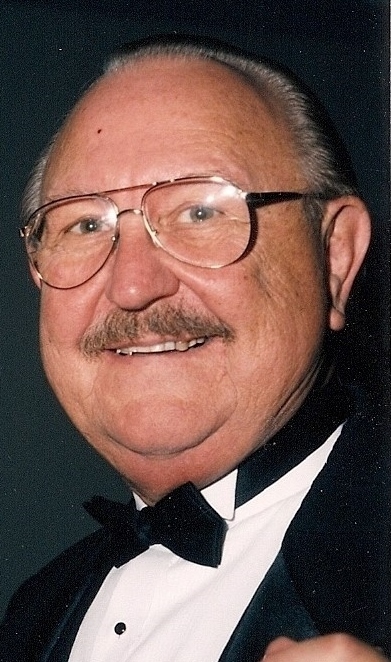 He was a Booster Club President, Pack Leader for the Cub Scouts and also active with the PTA in various capacities. Walt was a member of the Knights of Columbus and the Rotary Club. Walt and Kay loved to travel and his passport is filled with destinations that include Spain, Bermuda, Russia, The Netherlands, France ,Italy, and his favorite destination Turkey. There will be a Mass of Eternal Rest at 10 AM on Saturday, March 30, 2019 at St. Gabriel Church, 48 W Sharon Rd., Glendale, OH 45246.